Save on a Familiarization Trip to Playa del Carmen! 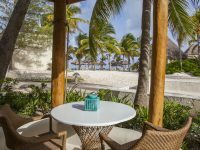 We have created a self-guided “Taste of Mahekal and the Riviera Maya” as a suggestion for our visiting Travel Agents to experience a sample of things to do at our resort focusing on our food, amenities, activities, and also the region’s culture, environment, and attractions. With this itinerary, we feel you’ll be able to return to your agency and confidentially recommend the resort and the area to your clients. During your stay, enjoy complimentary Wi-Fi, three resort-style pools, a variety of restaurants and bars, and cultural experiences like Mayan painting classes, and more!